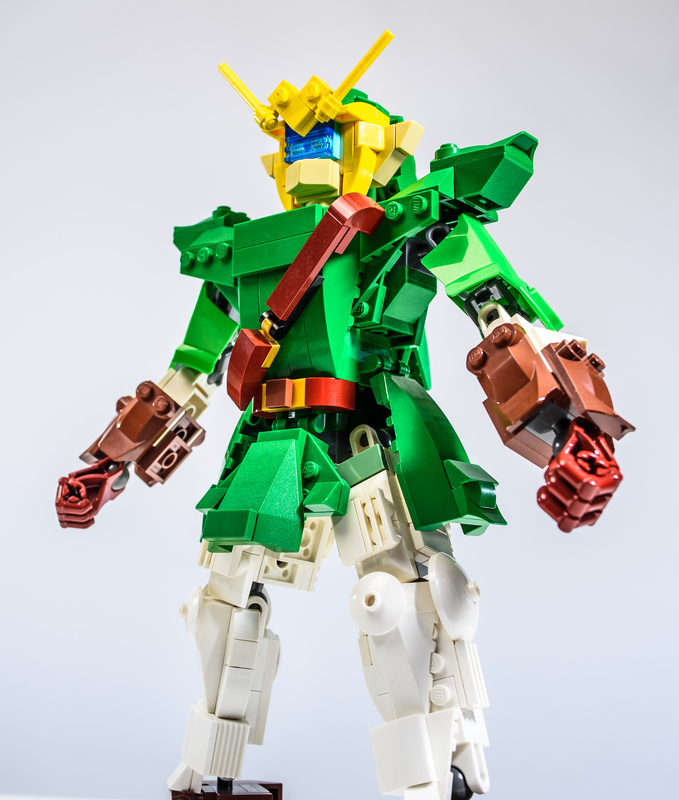 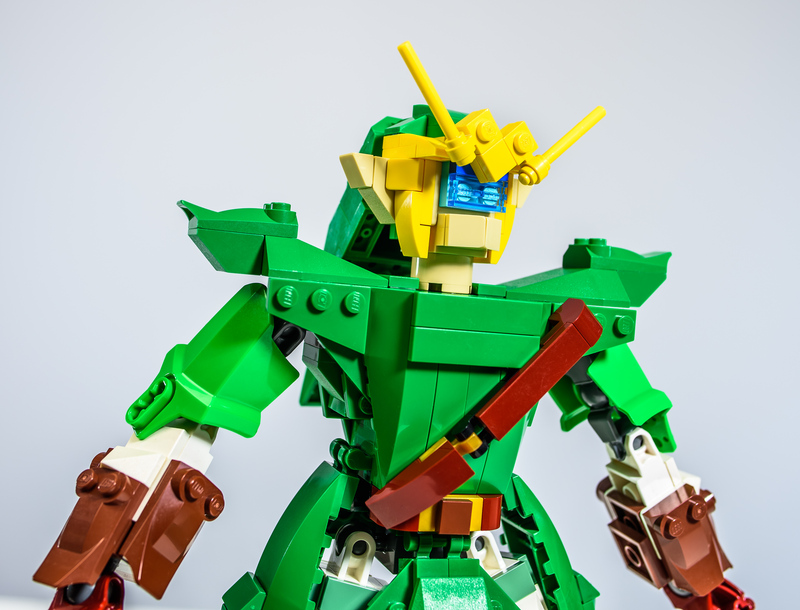 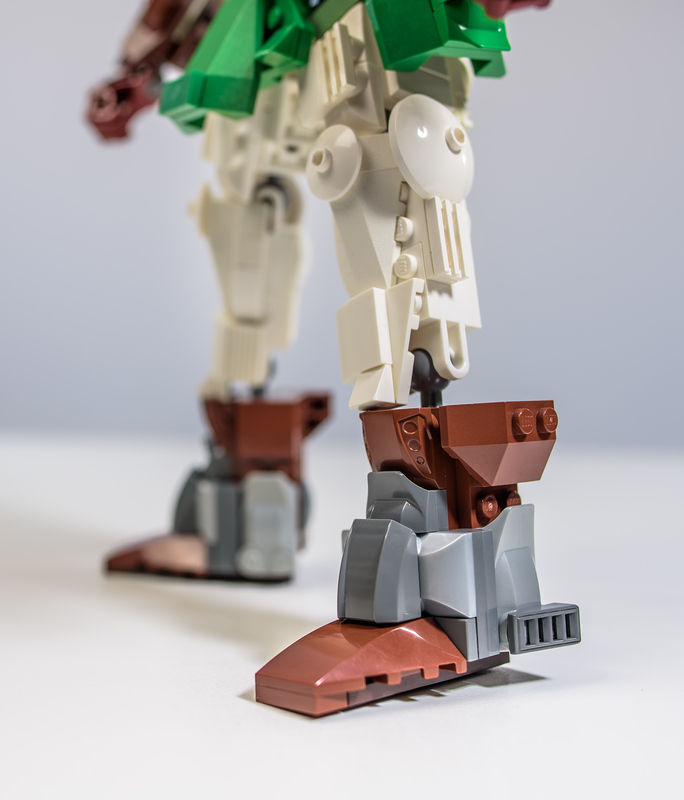 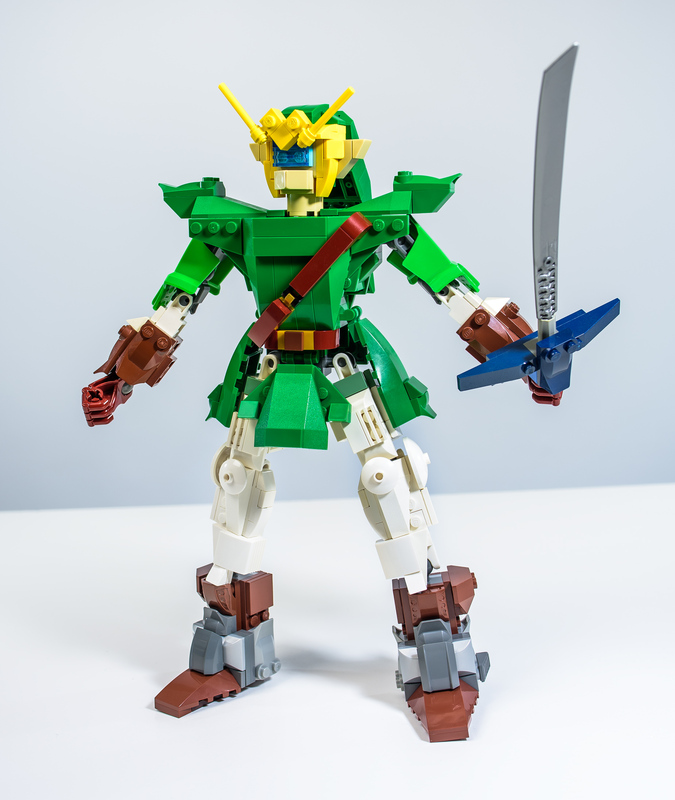 Five years ago I released my articled Gundam-Zelda mashup known as Mecha Link, along with its variety of clones. 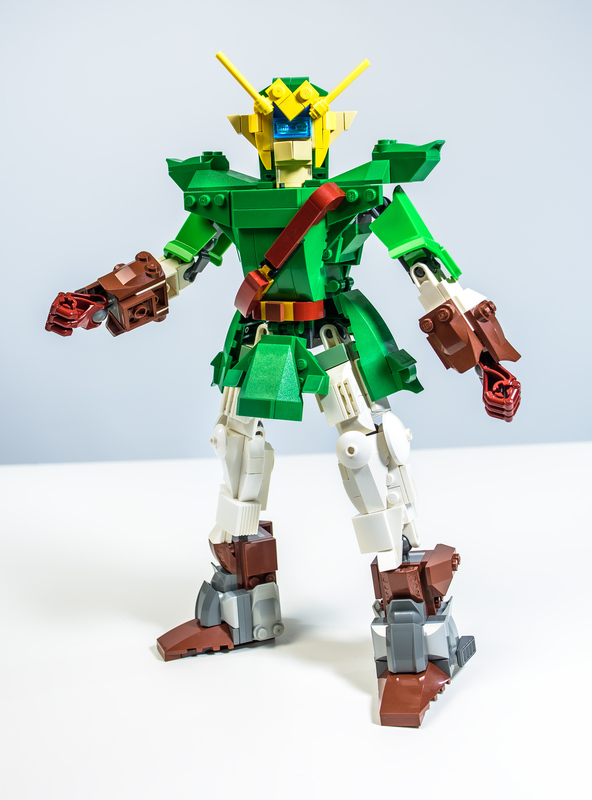 This is an updated version which is now slightly taller and more detailed, and has the traditional green Kokiri tunic design. 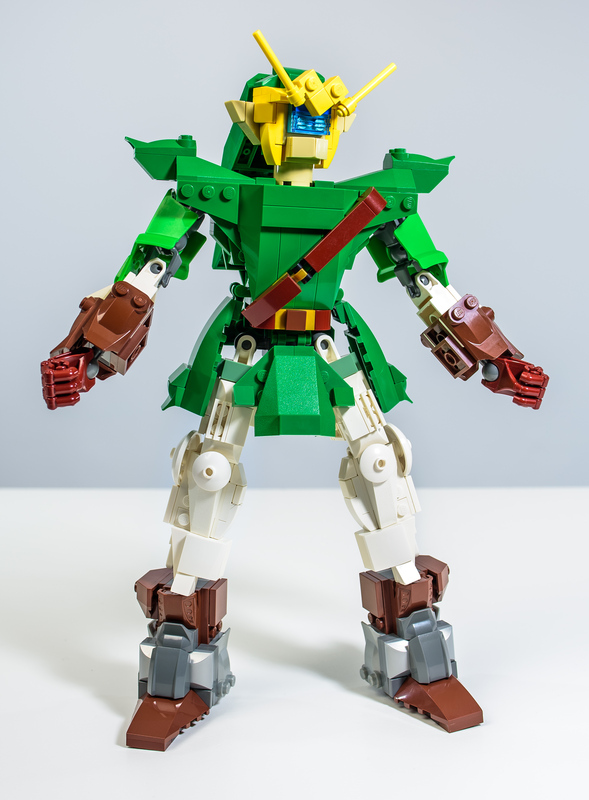 Although it’s not built to be in the blue Zora tunic variant, it’s still got the same Iron Boots!